A free day plus 3 excursions, the days of which will depend on the weather. 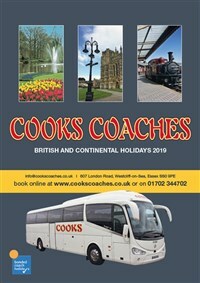 The guest card will be useful on the free day to explore the local area by bus and cable car. 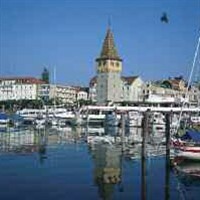 By coach you will travel to Lake Constance (Bodensee in German) on one day with time in Bregenz and Lindau. The former is in Austria with lakeside attractions like its famous floating stage: the latter is a splendidly elegant island city just over the German border. There will be a day of wonderful alpine scenery with a visit to St Anton. Provided the passes are open, we will go one way via the Hochtannberg Pass and Lech, the other by way of Ischgl and the Silvretta High Alpine Road. Two more countries on the third trip, Liechtenstein, where we will spend some time in its capital, Vaduz, and Switzerland, to see the favourite winter sports resort of the rich and famous, Davos. The Vorarlberg, the westernmost province of Austria, borders Germany, Switzerland and Liechtenstein. So if you like lakes, think of Constance: if you like high passes, think of the Hochtannberg and the Silvretta: if you like elegant resorts, think of Lindau, if you like forests and alpine pastures, think of the Bregenzerwald, all of which makes our hotel in Alberschwende an ideal base. And, a nice little touch, a Guest Card is provided, offering free use of several cable cars, buses and swimming pools to enhance your stay. HOTEL ENGEL http://www.hotelengel.at/. In traditional Austrian style, the family-run Hotel Engel is in the Bregenzerwald village of Alberschwende. Comfortable en suite rooms with TV, telephone, minibar. There is a lift. Free WiFi Free use of sauna and steam bath in the spa area. Porterage included as well. In the restaurant there are buffet breakfasts and 4 course evening meals. Choice of main course from the second evening plus a salad buffet.